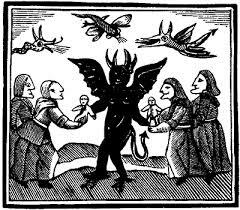 It is impossible to know what really happened before and during the Pendle Witch Trials of 1612. The only extant document is the blatantly biased trial record, written by a clerk called Thomas Potts to gain favor with King James 1st. Mary Sharratt, however, makes an excellent attempt at fleshing out a plausible tale around the two central characters — a local cunning woman known as Mother Demdike (Bess Southerns), and her pretty teenage granddaughter (Alizon Device). Sharratt’s cunning folk are Catholic herbalists and fortune-tellers, doing whatever they must to survive in remote, harsh Lancashire. 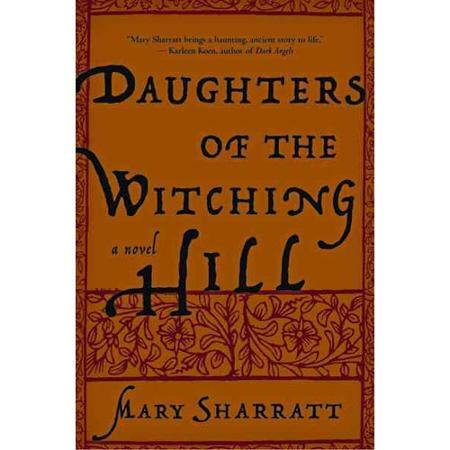 As is necessary in any saga as complex as the Lancashire Witches, Sharratt takes some “fictional liberties” by combining several real people into one composite character, and changing some of the repetitive historical names for the sake of clarity. She also suggests that Demdike taught another rival cunning woman her craft (Mother Chattox); that Mistress Alice Nutter was a secret practicing Catholic; and that Justice Roger Nowell derived some personal (perhaps sexual) satisfaction from his dealing with the so-called witches. These are all credible assumptions. Less likely, is her portrayal of Demdike’s daughter Elizabeth Device (known locally as “Squinting Lizzie”). In Daughters of the Witching Hill Lizzie has no interest in her mother’s magic. She appears as a chaste lonely widow who follows the new religion because she is infatuated with a Church Warden called Richard Baldwin. He impregnates her with a third child, Jennet Device. Yet while this provides a romantic interlude in the harrowing proceedings, I strongly suspect the Demdike home was called Malkin Tower because malkin meant “sluttish woman” (OED) and Squinting Lizzie may well have been one of the local prostitutes. Sharratt, however, has every right to fill in the gaps of this ambiguous story with her own interpretation, and her sympathetic version of events certainly makes an intriguing read. A highly-recommended novel.